The Ambassador Hotel Group held a press conference on November 1, 2017 to celebrate the 30th anniversary of the joint venture with Accor Hotels. 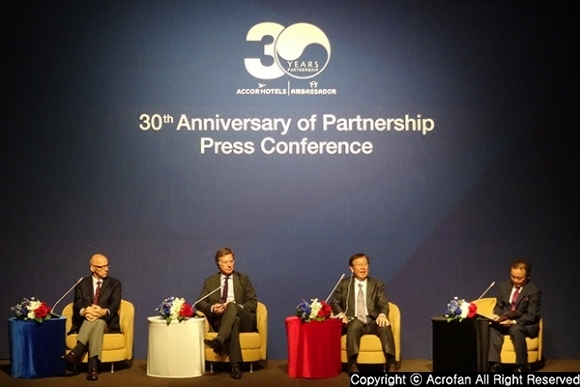 At the press conference, attended by Ambassador Hotel Group CEO Seo Jung-ho and Accor Hotels CEO Sébastien Bazin, the two companies announced their accomplishments over the past 30 years and future growth plans. The joint venture of Ambassador, a 62-year-old hotel company, and Accor Hotels, a global hotel operator, began in 1987. At the time that US hotel brands were introduced to Korea ahead of the 1988 Summer Olympics, Ambassador made a brand differentiation by establishing partnership with AccorHotels, the French multinational hotel group. Since then, it has been leading the domestic hotel market with various brand portfolio strategies ranging from luxury to economy. The Novotel Ambassador Seoul Gangnam, which opened in 1993, has established an unprecedented record of maintaining 90% occupancy of the room for 10 years. In 1997, the Novotel Ambassador Seoul Doksan opened as the first luxury hotel in the Southwest Seoul. In particular, Ibis Ambassador Seoul Gangnam (currently Ibis Style Ambassador Seoul Gangnam), which was opened in 2003, has been recognized as a beginning of domestic business hotel service. Ambassador and Accor Hotels, which caused the boom in domestic business hotels because of the success of Ibis, launched a business hotel with new concepts such as 'Ibis Budget Ambassador' in 2014 and 'Ibis Style Ambassador' in 2015, and subdivided the domestic business hotel market. In 2006, AAK was established as a joint venture company by further progressing the relationship between the two companies. AAK is a hotel management company that provides optimal hotel development and management solutions that combine the global standards of Accor Hotels and the local operating know-how of Ambassador Hotel Group. It also supports global hotel reservation system, sales marketing and promotion, and provides management systems such as global personnel, education and asset management know-how to optimize service quality and hotel asset value. Among the global hotel companies that have entered Korea, Accor Hotels is the only one that has established joint venture companies such as AAK with domestic companies. It was possible because trust was established between the two companies. The key to the long-term partnership between Ambassador and Accor hotels is mentioned to be trust and consideration. Based on trust, they have sought ways to grow together rather than the profits of each company and have been listening to each other's opinions. The two companies plan to prepare for another successful future based on the success of the last 30 years. 23 hotel networks in 2017 will be expanded to 32 by 2021 and the brand portfolio will also be expanded. In particular, they will expand into the luxury brand market, starting with Fairmont Hotel, which is scheduled to be opened in Yeouido in 2020. 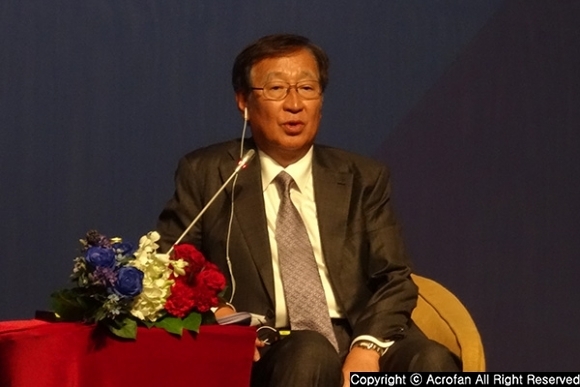 At the conference, Ambassador Hotel Group CEO Seo Jung-ho said, "We were able to enhance our competitiveness with our own hotel management culture, which was created through the combination of Ambassador's Korean hotel management system and Accor Hotels' advanced hotel management system." 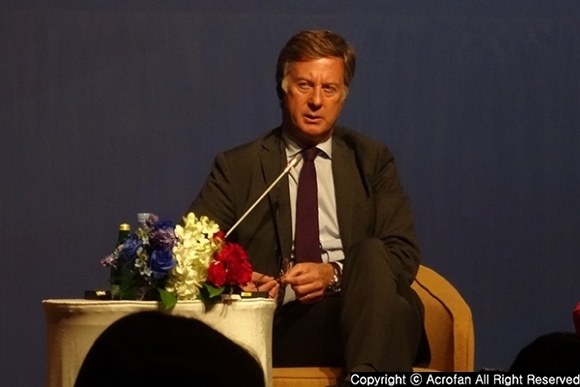 Also, he said, "Ambassador and Accor Hotels will continue to cooperate and lead advanced hotel culture in Korea."